Welcome to 2019,KRC will avail her major events of this year soon. The indigenous and traditional food fair 8th-10th October 2018. This was conducted successfully at the Fort Portal Balya road green belt. Kabarole District. This is where Farmers in the Rwenzori and Bunyoro sub regions in Western Uganda asked government to set up seed banks to ensure availability and quality seeds. “In order to protect the survival of traditional/indigenous crop and seed varieties and secure our own healthy future population, we the farmers of the Rwenzori and Bunyoro sub regions recommend that Government and civil society establish seed banks for the indigenous/traditional seed varieties at District level to ensure availability and quality seed” said Ms Anakuya Mary Gorreti from Kagadi District. She was presenting a position paper on behalf of farmers at the end of a 3-day Rwenzori indigenous/traditional food and seed fair in Fort Portal town, Kabarole District. The peoples’ food summit 2018. For the past 4 years KRC in its framework of the Food Lab has been studying the food system in Kabarole District and creating platforms for multi-stakeholder forums to debate critical issues affecting food in the District. 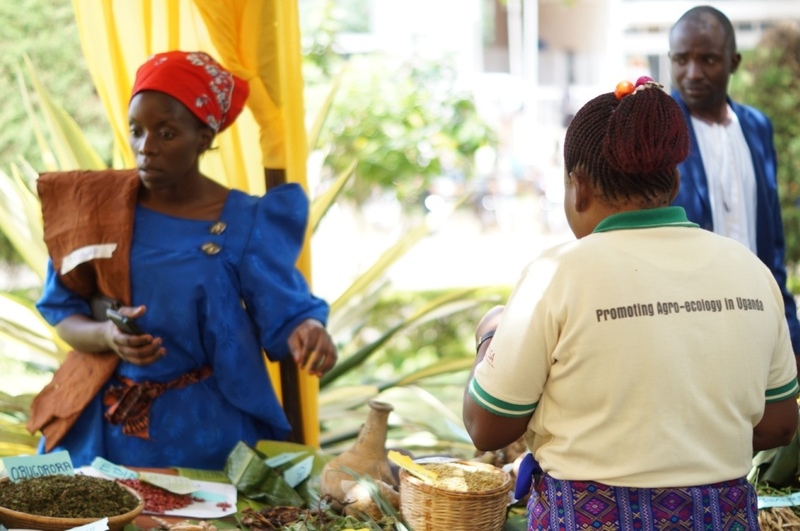 Starting from a focus of food access for the urban poor, the Fort Portal Food Change Lab has investigated those food system’s links in both urban For Portal and rural Kabarole. The Lab has been engaged in evidence generation, sharing and reflecting on it with other stakeholders in the food system to bring in new perspectives. This gave rise to the people’s food summit as an important forum to bring a wider stakeholder community – including national policy makers into the process, to engage with the evidence, and to discuss taking ideas to testing, implementation and scale. The first people’s summit on food took place in April 2016 in Fort Portal. The 2 days event was a success as it generated major outcomes in form of commitments that the Fort Portal Food Change Lab is pursuing. 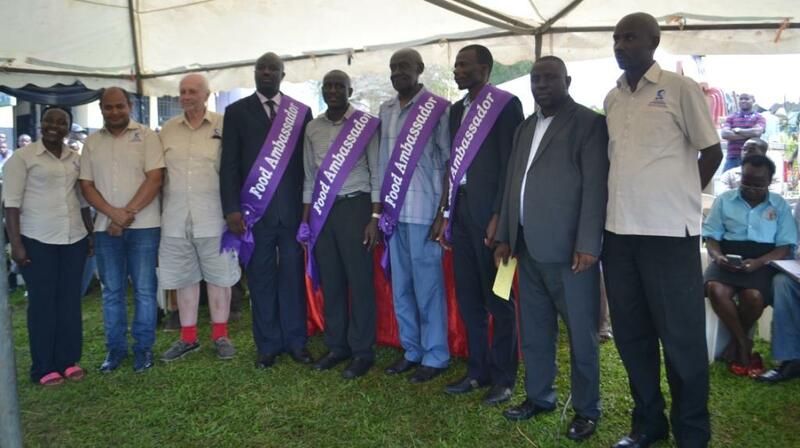 In 2006, Kabarole Research and Resource Center initiated a Rwenzori region leaders’ forum that came to be known as the Kasunga leaders retreat. The retreat is held every year or as a need arises from time to time to among other; critically reflect on critical development issues in the Rwenzori regionand devise means of collectively addressing these challenges. The forum also doubles as an advocacy platform for collective thinking and pushing for development agenda of the region. The retreat brings together a cross section of regional leaders within the political, Social, Civil society, Cultural, the business community and National leaders outside of the Rwenzori region. The current context in which the Kasunga 8 was planned to take place comes when the Rwenzori region is struggling to recover from ethno-political conflicts, the post 2016 election conflicts and the November 2017 raid to the Omusinga’ s palace in Kasese. The violence resulting from these conflicts has claimed hundreds of lives and leaving behind hundreds of victims of violence. The current political landscape in Uganda too is very turmoil characterized by a lot of public defiance resulting from a move by the government seeking amendments of some Articles of the 1995 constitution of Uganda and the 1998 land Act. Some of the contentious articles include Article 26 (b) of the Land act and 102 (b) of the 1995 constitution. This notwithstanding, there is national anxiety on what the outcomes of the Commission of Inquiry into Land Matters headed by Lady Justice Catherine Bamugemereire, will be. Government has equally mandated and facilitated members of parliament to make public consultations on the amendment of Article 102 (b). it has been noted that as a result of Government’s pronouncement and intention to have this Article Amended, legislators, technical and local leaders including community members are now divided along political party lines; therefore to have fruitful discussions a decentralized approach for the Kasunga 8 has been adopted. This will involve well guided district level consultations which will later feed into a bigger Kasunga 8. The District based Kasungas (Consultative meetings) will extensively discuss critical issues in each district, sieve those that can be managed and resolved from within the district and come up with position papers for issues that need to be discussed and responded to in a regional fora. They will equally gather commitments from district leaders on how to sustain peace and security in the region. Program below for these meetings. The KRC end of year retreat. As our culture every end of year we reflect on what has been the main achievements of the year, the challenges we have encountered our strength and weaknesses and forge a way for the year that follows. Our retreat has been slated for 14th-17th December 2017. The national celebrations were held in Kabale on 16th October, regional function went on well at balya road green belt Fort Portal Organised by KRC, Fort Portal Municipality and Kabarole District Local Government. A number of activities took place the food fest, nutrition clinic, food Art exhibition, food debate among others. We are grateful for the overwhelming turn up. 1. 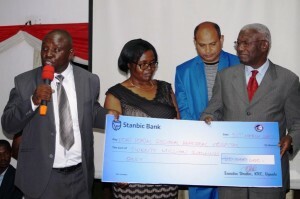 A regional marathon that will be conducted on 25th March in partnership with Fort Portal Regional referral Hospital to raise money for the emergency and accident unit. 5. Exhibition of KRC researches, models, approaches and achievements for the last 20 years. 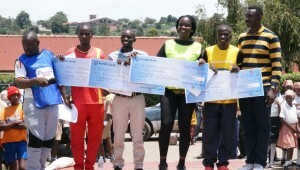 We are grateful that you participated and made KRC@20 celebrations colorful and successful. 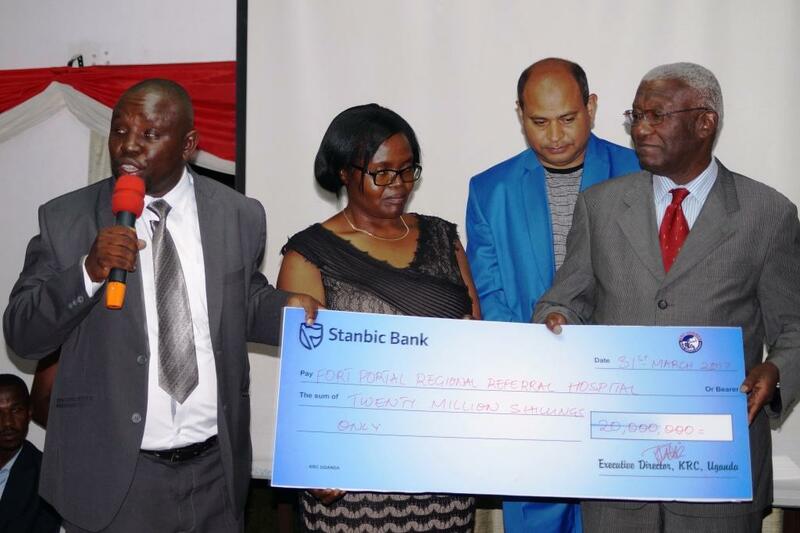 20 Million collection from the Marathon was handed over to the Fort Portal Regional Referral Hospital by the Chief guest Hon. Tom Butime Minister of Local Government.